"John hit the ground running at Apple and we are thrilled to have him as part of our executive team," said Apple CEO Tim Cook. "Machine learning and AI are important to Apple's future as they are fundamentally changing the way people interact with technology, and already helping our customers live better lives. We're fortunate to have John, a leader in the AI industry, driving our efforts in this critical area." Giannandrea oversees the strategy for AI and Machine Learning across all Apple products and services, as well as the development of Core ML and Siri technologies. Prior to his April hire, Giannandrea had prior connections with Apple. His early AI work was done at Apple spin-off General Magic in the mid '90s prior to a move to Netscape. He is also believed to have been working on Google's self-driving car initiative in addition to his responsibilities with Google's search business. Giannandrea joined Google as part of an acqui-hire from the purchase of Metaweb in 2010. Google eventually rolled the Metaweb product into its search results, but the buy greatly expanded Google's AI talent pool, growing the company's research dramatically. "Computers are incredibly powerful but they are also pretty dumb, and I think we need to work hard to make them fulfill the potential that they have and so that means teaching them to be smarter," Giannandrea said to CNBC in September. "Technology should augment the human intellect, not replace it. It should be a powerful tool to help us think better, and I think that is really the journey we are on." 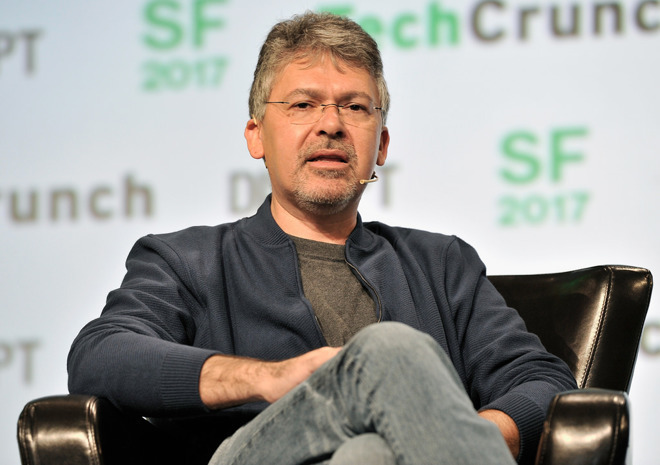 Giannandrea led the charge at Google to infuse artificial intelligence across Google's range of products. Divisions that have seen improvements because of Gianandrea's involvement include Gmail, Google Assistant, and the search business at the core of Google's business. "There is just a huge amount of unwarranted hype around AI right now. Machine learning and artificial intelligence is extremely important and will revolutionize many vertical industries, and I am very excited by the progress we are making," said Giannandrea, responding to a question about an AI-driven apocalypse. "But, it is very practical and applied progress. And I think what we are doing is building tools, like, say, the Google Search engine, that make you more productive." Glad this hire is working out. Apple needs to be at the front of the AI revolution for long-term success. I'll be happy when Apple is finally issuing updates to SIRI continually during the year. Not just one or two updates at WWDC. Maybe they should have a dedicated SIRI development conference outside of WWDC.